There are many towing choices for owners of passenger vehicles. But commercial vehicles, heavy trucks, oversized vehicles, large RVs and motorhomes, farm equipment, machinery, emergency vehicles such as fire trucks, semi trucks, large-scale vehicles and other vehicles that weigh more than 25,000 pounds require specialty hauling and towing equipment and larger, commercial tow trucks to move them safely. Luckily, you have several choices for Napa County commercial towing services in American Canyon, St. Helena, Calistoga, Napa, Yountville and beyond. Whether you need commercial wrecker or winching services, towing for fleet vehicles or multiple vehicles on a transport trailer, semi trailer towing, emergency towing services for oversized vehicles, long-distance towing for farm implements or large machinery, or other towing services for oversized and heavy vehicles, you should be able to find a local commercial towing company that has the skill and equipment to do the job. Passenger cars and trucks that need to be towed are usually handled by towing companies that provide light- and medium-duty towing. This can be provided by almost any Napa County towing service, including small companies that own a single tow truck. But for commercial towing, large-scale towing and heavy-duty towing services, you’ll want to be sure to hire a commercial towing service that has the equipment and the expertise to provide the services you need and protect the integrity of your vehicle. Know as many details about the vehicle you need towed and the towing services you need as possible. This will help you explain what you need to the Napa County commercial towing services and eliminate confusion and frustration. For example, you should know the length, weight, number of axles and other details about your vehicle as well as the starting and ending points for the towing service, the dates you need towing (if you’re planning for tow services rather than emergency towing), and other details that can help streamline the job. Verify that the towing company can provide commercial towing, heavy-duty towing, or large-scale vehicle towing that fits your needs. Not all local towing services have the equipment, tow trucks and expertise to safely move commercial vehicles and oversized vehicles. So ask questions about their abilities before you book commercial towing services. Have registration and title information available for the vehicle or equipment you’re having towed. Some companies ask to see this for security reasons. If you need long-distance towing services or a tow out of the local area, be sure that the commercial towing services in Napa County that you call tow outside of the immediate area. Some companies stay local, while others will take your tow load as far as it needs to go. Don’t waste time working with Napa County commercial towing services only to find that the company only works in a small radius. Why Trust Diamond Certified Commercial Towing Companies Rated Highest in Quality? The best way to start searching for a commercial towing service in Napa County is to think first about what you need and expect from the company you eventually hire. Whether you’re seeking commercial towing companies in Napa, American Canyon, St. Helena, Calistoga, Yountville, Angwin, Deer Park, Oakville, Pope Valley and Rutherford or anywhere else in the Greater Bay Area, having a clear idea of the services you need and the expectations you have will help you make a better choice. Ask yourself the following questions to refine your expectations and demands. Do I want a Diamond Certified commercial towing company that is rated best in quality and backed by the Diamond Certified Performance Guarantee? Phone interviews are a good place to start because they let you interview several companies and compare their initial qualifications without wasting a lot of time on companies that can’t meet your needs. But you won’t get a full representation of a commercial towing service until you meet in person with a company representative. 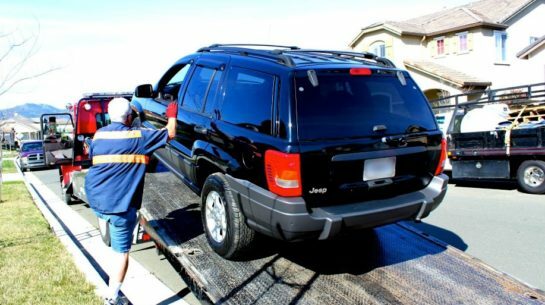 While this may not be possible in all cases, especially when emergency towing is needed, it can be a good move, especially if you are scheduling tow services for oversized vehicles or a vehicle fleet in Napa, American Canyon, St. Helena, Calistoga, Yountville, Angwin, Deer Park, Oakville, Pope Valley and Rutherford and beyond. If you can, meet with a company representative ahead of time and ask these questions and any others you may have. If you can’t schedule a separate in-person meeting, take a few minutes to ask a few questions of the tow truck driver who comes to move your commercial vehicle or oversized load. Never accept towing services from a company or tow truck driver that makes you feel uncomfortable or whom you don’t feel you can trust. Instead, call the towing company or dispatcher if you have concerns or questions about your towing service. Can you show me an ID card or company employee badge to verify your employment with the Napa County towing service I’ve hired? How will you approach this towing job? How will you secure this load to ensure it arrives safely? Will you give me a written estimate or contract for the cost and details of this job? Former clients who have experienced the commercial towing services offered by the company you’re considering can be among your best source of information about the company. These are individuals who have actually experienced the services you’re about to receive. However, customer reference experiences vary depending on a variety of factors. Additionally, reference names given to customers by companies are almost always cherry-picked instead of randomly selected from the company’s entire customer database. So the customers you call are likely ones that the Napa County commercial towing companies know are satisfied. That’s why it’s best to choose among Diamond Certified commercial towing services. All certified companies have passed an in-depth ratings process that most other companies can’t. If you want quality from a commercial towing services in Napa County and the greater Bay Area, you can have confidence choosing a Diamond Certified company. Diamond Certified reports are available online for all certified companies. And you’ll never be fooled by fake reviews. That’s because all research is performed in live telephone interviews of actual customers. If you can’t find Diamond Certified commercial towing services within reach, you’ll have to do some research on your own. If you do, it’s wise to call some references provided by your commercial towing services. Keep in mind, though, that references provided to you by commercial towing services are not equal in value to the large random sample of customers surveyed during the Diamond Certified ratings process. If you do call references on your own, specifically ask for a list of the company’s 10 most recent customers. This will help avoid them giving you the names of only customers they know were satisfied. Then, call them and ask them about their experiences with the Napa County commercial towing companies in Pope Valley, Oakville, Napa, Rutherford and their area. Were you satisfied with the service from (Napa County commercial towing service)? What was the type and scope of towing job they did for you (emergency towing services, scheduled oversized load towing, semi trailer towing, roadside assistance or lockout service for a commercial vehicle, large vehicle wrecker service, etc.)? Were the phone operators, tow truck drivers and others at this commercial towing company professional, prompt and personable? Did the commercial tow truck driver explain the status of your vehicle to your satisfaction? Did the towing service pick up your commercial vehicle and deliver it in a reasonable time frame? Were there unexpected costs associated with this commercial towing service? If you needed commercial towing services in rural areas or another area, did the commercial towing service charge an extra fee? Did the tow truck driver take care of your vehicle during the large-scale towing service? Would you recommend this Napa County commercial towing service to others? Would you consider hiring this local commercial towing company again if you need commercial towing, oversized towing, or large vehicle towing services in the future? Finding the best commercial towing services in Napa County for you should be an easier decision now that you’ve done some research. Read over your notes, think about the companies you’ve interviewed and consider the following questions. Is there a local commercial towing company in Deer Park, Pope Valley, Angwin, Yountville or your area that can meet your needs for commercial towing services, needed equipment, budget, towing location and time frame? Are the Napa County commercial towing companies’ towing professionals knowledgeable about towing your type of commercial vehicle or oversized load? Can they explain to you which towing services best fit your needs? Do the representatives or tow truck drivers of commercial towing companies that you’ve talked with guarantee their services will not cause further damage to your vehicle? Even if you need emergency towing for heavy-duty vehicles or fast winching service for commercial vehicles, it’s smart to take a few minutes to take stock of your needs and expectations and talk with a few Napa County commercial tow truck services in Yountville, Angwin, Deer Park, American Canyon, Oakville and your area of Napa County. It’s even more important when you’re planning a large-scale towing job, multi-auto transport, heavy machinery towing or other scheduled commercial towing service. That’s because rushing into an agreement without considering your needs or options can mean a poor decision that has lasting impact or even compromise the safety and of your vehicle or towed load. Instead, think about what you need, including the details of the towing service at hand. Know the weight and length of your vehicle or load to be towed, and have an intended destination in mind. Also have a list of qualifications and expectations for your tow truck company and driver, including experience and customer service. This will help you better express yourself to the Napa County commercial towing companies you call, and will likely ensure that you hire the best company for your needs and get the outcome for which you are hoping. Then call a few top-rated commercial towing companies and interview them. Ask for detailed bids or full-price estimates on the services you need so you can compare services, cost and overall value. Remember: cheap commercial towing isn’t always the best choice. Reasonably-priced companies that offer better service are usually your best option. Congratulations on finding a good Napa County commercial towing company that can meet your needs. Now is the time to sign the estimate or contract and move forward with the heavy-duty towing services. First, read through the estimate and be sure you understand all terms and limitations before you sign the contract with a commercial tow service in American Canyon, St. Helena, Calistoga, Napa, Yountville or beyond. Your agreement with the commercial towing company is final when you sign the estimate or work order. So for your protection, never sign a blank or incomplete estimate or one that you don’t completely understand and agree with. Then, complete the agreement and either schedule a date for your planned towing service, or move forward with your emergency heavy-duty towing services. How Can You Make the Job Go More Smoothly? Whether you’re scheduling a planned commercial towing service or require emergency commercial towing, you can take a few steps to help the work go more smoothly. If you’ve been in an accident or experienced a breakdown and if possible, move the commercial vehicle or load to a safe location. Try to pull off of the road or out of the lane of traffic so that the commercial tow truck can load your vehicle with less disruption to fellow travelers. If your vehicle is in the lane of traffic or beside a road, turn on your flashers and put out cones or flares, if available. After an accident or mechanical failure, stay in the vehicle or a safe distance from traffic if you can. Don’t leave the scene unless you have to, or unless directed to by the Napa County commercial towing company dispatcher. If you’re scheduling a commercial tow service, be with the vehicle or tow load when the driver arrives. You will likely need to be on site to sign papers for towing services. Be prepared to leave the vehicle when the commercial tow truck arrives. Gather all of the items you need to remove from the commercial vehicle, if any, and take with you the vehicle registration and insurance information that is stored in the vehicle. Make sure the Napa County commercial tow service that arrives is the one you called. Ask for and confirm identification. The tow truck dispatcher should be able to give you the name of the driver and the identification number or license plate number of the truck they are sending to you. This protects you against unscrupulous towing services that can take advantage of drivers with commercial towing needs. You may take a photo or write down the information on the ID badge and tow truck, including license number, truck number, driver’s name, or other identifying information for your records. Whether you’re in Yountville, Angwin, Deer Park, American Canyon, Oakville or another area, if you have a specific destination to which the commercial vehicle, load, machinery or other towed vehicle or load is being towed, confirm it with the tow truck driver. Ask them to read the drop off address to you and make sure it’s correct. If the commercial towing service is taking your vehicle to the closest shop or parking area for repairs or deposit, you should get the address from them, follow them or go with them in their truck. Commercial towing services in Napa County appreciate customers who are honest, up-front about their needs and requirements, and easy to work with. That works in your favor. In fact, your good customer behavior can help set the tone of the job from your end and can help create an environment conducive to a good working relationship. The towing services may very well go smoother and any problems may be more easily resolved. Here are a few simple steps you can take to be a good customer when hiring Napa County commercial towing services in Pope Valley, Oakville, Napa, Rutherford and beyond. Be clear and upfront with the commercial towing companies. Let them know what you want from your commercial towing services, your specific needs and how they can satisfy your expectations. Remaining calm, friendly and positive can make the whole experience better. You may not be happy about having to call a commercial towing service, but treat your towing dispatcher and tow truck driver well. They’re there to help you in a difficult situation. Before you hire a commercial towing service in Napa County, restate your expectations and goals, and reiterate to the dispatcher and tow truck driver your understanding of the agreement. Most problems with local commercial towing services occur because of a breakdown in communication. By being clear about your expectations and theirs, you can avoid most conflicts. Ask your commercial towing services if you should call to check on the progress or if they will call you with updates when your vehicle is dropped off at the final destination. Be sure your service representative has a phone number where they can reach you during the commercial towing services. They may need to reach you with updates, questions or service authorizations. Promptly return calls from your commercial towing company to keep the services on schedule. Pay for the heavy-duty towing services on time and as promised in your contract. After your commercial vehicle, semi trailer, or oversized vehicle has been dropped off a the specified location or other commercial towing job has been completed, you should get an invoice from the tow truck driver. The commercial towing service’s name, physical address and state license number. A complete list of all commercial towing services and other work performed. The total cost for the commercial towing services, including the itemized amount charged for labor if separate from the service or towing fee. A written explanation of any warranties or guarantees provided by the commercial towing services. Take some time to look over the invoice and ensure that it matches both the original contract for service and the actual commercial towing services that were provided. Note any discrepancies and talk with the tow truck driver or company representative in Deer Park, Pope Valley, Angwin, Yountville or your area. You don’t have to worry about finding the right commercial tow truck service if you hire a Diamond Certified commercial towing company in Napa County. That’s because Diamond Certified companies are carefully researched and backed by the Diamond Certified Performance Guarantee. If the commercial towing company you’ve hired is Diamond Certified and you can’t resolve the issue by talking with the company owner, contact the mediation department at [email protected] or call 800-738-1138 for assistance. Whether you live or work in American Canyon, St. Helena, Calistoga, Napa, Yountville, smaller towns or another area, you can avoid problems with your commercial towing service by carefully choosing the company that you hire. Hiring only licensed and insured companies with a history of taking care of customers may not always guarantee you a good outcome; however, you are much more likely to find responsible commercial towing companies and good service when you seek out commercial tow services known for being professional and having good service records. The helpful tips below will increase your chances of getting a better result when talking with your towing company about a problem with customer service or commercial tow truck services. Meet with the commercial towing company owner or tow truck driver in person immediately when you have a complaint or a concern. Don’t wait until the job is done to present your concerns. You may also want to talk with the towing company dispatcher if one took your original call. Review your commercial towing services contract and try to verbally resolve the problem based on your initial agreement. Write down your complaint and associated details. Document the times you contacted your Napa County commercial tow truck company and their response to your concerns and complaints. Set a deadline for the resolution of your complaints. Calmly explain that you’re upset, yet willing to work toward a mutually-beneficial solution. You may legally withhold payment for the commercial towing services until the dispute is resolved. File serious grievances with the California Department of Transportation. These may include contract violations, dangerous behavior on the job and other severe infractions. Contact your state attorney general if you are considering pressing charges against the Napa County commercial towing company. The following are just some of the most commonly requested commercial towing services available in Napa County. While large-scale and commercial towing companies in Yountville, Angwin, Deer Park, American Canyon, Oakville and throughout the Greater Bay Area provide all types of towing services, these are some of the more popular ones available. Not all Napa County towing services can provide commercial towing or heavy-duty towing services, however, so talk with your towing expert about their capabilities and the services available to you. Large-scale towing for tractor trailers, semis, school buses, RVs, oversized loads, tractors and farm machinery, construction equipment, fire trucks, cranes, emergency vehicles, dump trucks and more. These large commercial towing vehicles often are capable of carrying very heavy and oversized loads, and may also include rotators or cranes to properly position large vehicles and other loads on to the towing bed. Flatbed towing services are the most common choice for specialty towing services and light duty towing. Flatbed towing is required for vehicles that are too disabled to be towed with two-wheel towing, vehicles with locked wheels, oversized vehicles, RVs, boats or other vehicles that need to be towed on a flatbed trailer. Flatbed towing may require winch service or crane service to get the vehicles onto the flatbed, so they may be more expensive than traditional truck towing. Towing for multiple vehicles generally happens via a vehicle transporter. 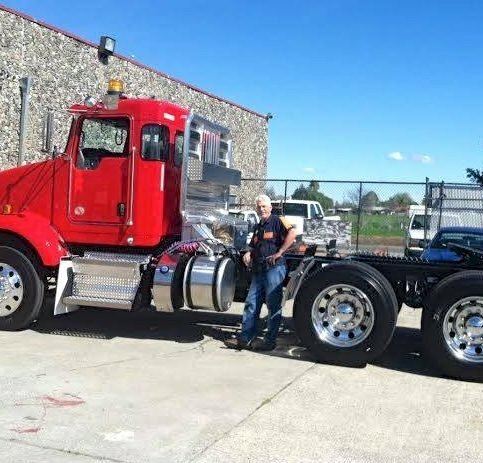 These are large tow trucks or stacked-transport trucks with the ability to safely tow several vehicles at the same time from Pope Valley, Oakville, Napa, Rutherford or other areas. Light duty towing is for vehicles under five tons, while medium duty towing ranges between 10,000 and 25,000 pounds. Large vehicles, heavy vehicles and commercial vehicles that are oversized are the most common vehicles to require heavy duty towing services. This may include using a crane to place the vehicle on the tow truck. Big rig towing includes semi-trailer towing, big rig towing, big rig truck recovery, big rig trailer towing, and towing for motor homes buses and other large vehicles. Other big rig services may include roadside assistance, winching service, overload adjustments and corrections, big rig collision recovery and more. Lowbed tow trucks are tow trucks that have lower than typical towing beds. This makes loading easier and can prevent damage to vehicles that are being towed. Heavy loads are sometimes carried on lowbed tow trucks to make loading and unloading easier. Overloaded semi trailers and transport trucks can cost you money at California weigh stations in and around Napa, American Canyon, St. Helena, Calistoga, Yountville, Angwin, Deer Park, Oakville, Pope Valley and Rutherford and beyond. Load shift, overload adjustments and overload corrections are services provided by some commercial towing companies. This may include towing, load towing, load lightening, and correcting load overages. Cars and trucks that are stuck or stranded may require vehicle recovery. Vehicle recovery services take place any time a vehicle is recovered from one location to another, usually with a tow truck. These can be broken down vehicles, vehicles towed for parking violations, or vehicles damaged in accidents that need to be transported to a repair shop. Winching service is when a tow truck operator uses a winch to lift vehicles onto the towing platform, pull vehicles out of ditches or otherwise move disabled vehicles by hooking a wire to the undercarriage of a vehicle and cranking a drum to wind up the wire and pull the vehicle into position. Commercial winching service requires a heavy-duty winch that not all towing companies in Deer Park, Pope Valley, Angwin, Yountville and throughout Napa County have at their disposal. Tow trucks are sometimes known as wreckers, because they move wrecked or disabled vehicles. Commercial wrecker services are usually called to remove or move vehicles after collisions or when they’ve broken down. Semi trucks, heavy-duty vehicles and other large vehicles may require a commercial wrecker service due to their weight and size. Big rig towing includes semi-trailer towing, big rig towing, big rig truck recovery, big rig trailer towing, and towing for motor homes buses and other large vehicles. Emergency towing services for commercial vehicles are those that are required after collisions or for oversized vehicles that are disabled. Large vehicles, heavy vehicles and commercial vehicles that are oversized or weigh more than 25,000 pounds are the most common vehicles to require heavy duty towing services. This may include using a crane to place the vehicle on the tow truck. Overloaded semi trailers and transport trucks can cost you money at California weigh stations. Load shift, overload adjustments and overload corrections are services provided by some commercial towing companies to help drivers of commercial vehicles, trailers, semis and oversized loads avoid these overcharge fees. This may include towing, load towing, load lightening, and correcting load overages. Vehicles that need to be towed a long distance, either because of a breakdown or accident or as a method of transporting a vehicle, may require long distance towing services. This is true for commercial vehicles, oversized vehicles and machinery as well as passenger vehicles. Long distance towing services for commercial vehicles may take place on a flatbed truck or a long-distance towing trailer. Towing for multiple vehicles generally happens via a vehicle transporter. These are large tow trucks or stacked-transport trucks with the ability to safely tow several vehicles at the same time. Commercial vehicles that are stuck or stranded may require vehicle recovery services. Vehicle recovery services can take place any time a vehicle is recovered from one location to another, usually with the help of a tow truck. Commercial vehicle recovery can assist drivers of semis, buses, trailers, commercial loads, farm machinery, and any other oversized or heavy vehicles. Winching service the use of a winch to lift vehicles onto the towing platform, pull vehicles out of ditches, and move disabled vehicles by hooking a wire to the vehicle’s undercarriage and cranking a drum to wind up the wire and pull the vehicle into position. Commercial winching service requires a heavy-duty winch that not all towing companies have at their disposal. Q: Why choose Diamond Certified commercial towing services? A: Diamond Certified helps you choose a commercial towing services with confidence by offering a list of top-rated local companies who have passed the country’s most in-depth rating process. Only commercial towing services rated Highest in Quality earn the prestigious Diamond Certified award. Most companies can’t pass the ratings. American Ratings Corporation also monitors every Diamond Certified company with ongoing research and ratings. And your purchase is backed by the Diamond Certified Performance Guarantee. So you’ll feel confident choosing a Diamond Certified commercial towing services. Q: How are commercial towing services different than other towing? A: Commercial towing services are those for commercial vehicles, big rigs, farm machinery, oversized loads, emergency vehicles, fire trucks, buses, large RVs and other very heavy vehicles. Light- and medium-duty towing is all that is usually required for passenger vehicles, but commercial vehicles and others that weigh more than 25,000 pounds require commercial towing services. These tow trucks have larger towing capacity and may even provide commercial winching and crane service for heavy loads. Commercial towing may also be used as a multi-vehicle transport service for fleet vehicles and other loads of more than one vehicle. Q: Will the commercial tow truck driver know how to tow commercial vehicles? A: Each vehicle has different towing instructions. Most tow truck drivers know how to tow common vehicles, and most towing services have instructions for popular auto manufacturers in their tow trucks. If you have questions or concerns, or your vehicle may require special care during towing, talk with your towing company operator and the tow truck driver. Q: Do commercial tow truck drivers have special training? A: There are no specific requirements in terms of training or licensing for commercial tow truck drivers. However, many local commercial towing companies require their drivers to meet certain training and driving benchmarks. Ask the commercial towing companies you are considering about their training and driving standards. Q: Are tow trucks monitored for safety? A: All commercial tow trucks must pass inspection by the California Department of Transportation. Your towing professional should be willing to give you proof that their tow trucks have recently passed inspection. Q: What are heavy-duty towing services? A: Large, heavy vehicles and oversized commercial vehicles usually require heavy duty towing services. This may even include the use of a crane to place the vehicle on the tow truck. Many tow truck companies provide heavy-duty towing, but you may have to do some extra research to find a company that provides this service. Q: What is flatbed towing? A: Flatbed towing is the process of towing a vehicle with all wheels flat on a flatbed truck rather than a towing mechanism or front-wheel towing. Most commercial towing companies use flat bed tow trucks for oversized and large vehicles.